No coaster? No problem. 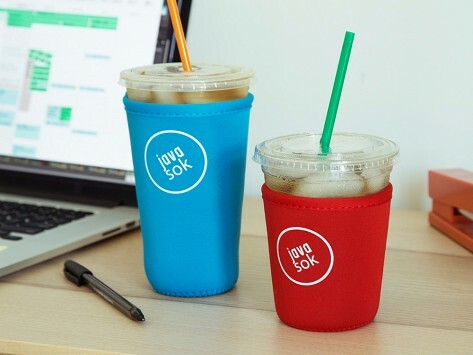 These iced beverage sleeves act as a coaster-koozie combo for iced takeout drinks. Pull on a Java Sok to control drippy condensation—and keep your hands and surfaces dry. 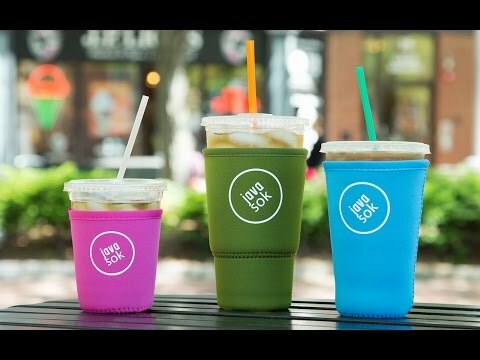 The tightly stitched, stretchy neoprene seals in moisture, and comes in a combination of sizes and colors that fit most of cold to-go cups. Weight: Small: 0.044 lb. ; Medium: 0.063 lb. ; Large: 0.081 lb. Must have for Iced Coffee drinkers! This product keeps my morning iced coffee ice cold into the afternoon! There’s even ice left when I finish the coffee. Absolutely amazing! I actually got these for my metal tumbler, and it’s great. I don’t have to worry about it slipping out of my hand, or my hand getting cold from carrying my drink. This is thicker than another one that I had, more durable, and nicer. With Java Sok in place, you don’t even need a coaster, and we say cheers (with your beverage of choice) to that.